I’ve been writing quite a bit over the past few weeks about all the ways that the folks in control of the Capitol have “blown it.” They blew it by undermining the rights and health of Texas women. They blew it by shoving a bad bill through the process after it had already been killed twice. They blew it by throwing out rules and ignoring traditions to fulfill their dubious goals. Well, this second “special” session is about to wrap up, and I need a break from writing about all the ways the other side has blown it. And I know an awful lot of you – who’ve worked very, very hard on this issue – need a break too. 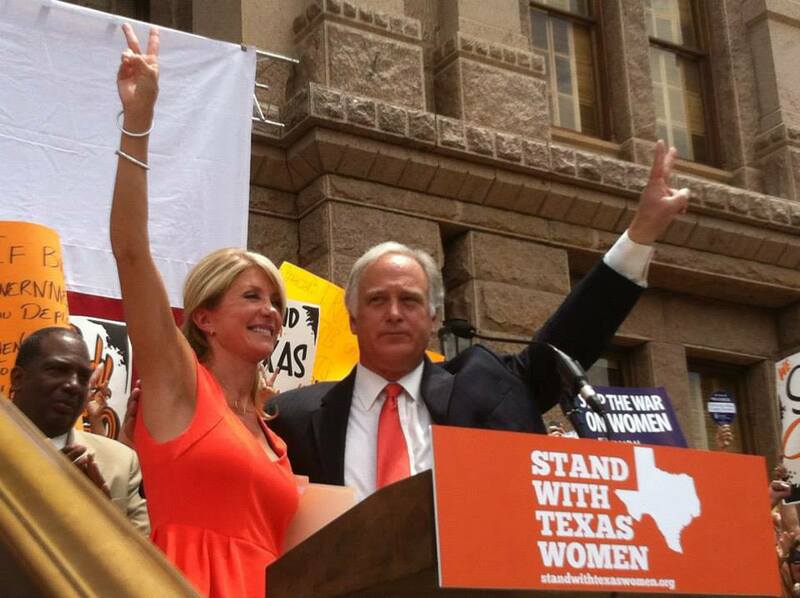 So this week, I’m writing about how I blew it – after Senator Wendy Davis sort of did too. Unless you’re just back from the moon or waking up from a coma, you probably know that my good friend and colleague Wendy Davis has been recognized as a political superstar in the last few weeks. In the first special session that wrapped up last month, she did a great job filibustering and helping to kill Senate Bill 5 (the anti-woman bill from the first special session that became House Bill 2 in the second session, which – unfortunately – the Governor signed last week). I was proud to stand with her and help in that effort. I’ve also been proud to see the recognition she’s justifiably received for helping to create this tipping point in Texas politics. And I’m proud that the whole experience finally landed me where I’ve always belonged – in People Magazine. Yes, I was quoted as saying how great she is, as opposed to being listed among the world’s sexiest men, but you have to start somewhere. So how did we blow it? Well, on the first day of the second special session, there was a really big rally on the South steps of the Capitol. It included, among others, the Democratic Senators who’d been fighting this bill. As the Chair of the Senate Democratic Caucus, I had the honor of talking about the injustice of the legislation, introducing my colleagues and then introducing Wendy to speak. Literally thousands of people were cheering at the rally. We all felt the emotion and the gravity of the moment as we prepared to address them. Just as we started to walk out and greet the crowd, Wendy turned to me and asked if I’d hold something for her. She extended her hand. I extended mine, and she put something in it.It was a used Kleenex. Something about allergies, I think. Now, we’re very good friends. I’m willing to help her in almost any way she needs. And of course she didn’t have any pockets on her dress. But a dirty tissue is a dirty tissue, and that’s what my good friend and great colleague had just handed me. I don’t know what proves the friendship more – that she felt so comfortable asking me to take it, or that I was so willing to do it. Anyway, that’s where I blew it. As a joke, I gave it back to her on the Senate floor. Sometime later, I realized that I could have made a small fortune selling the thing on eBay. I have something to offer you that I hope you think is considerably better than a used Kleenex: the chance to get a ticket to my annual Concert Under the Stars party. 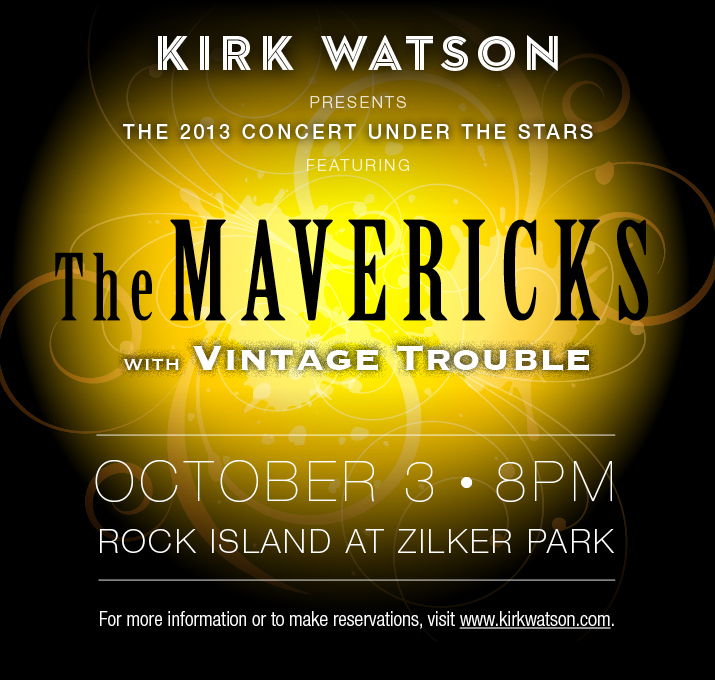 This year, the Mavericks and Vintage Trouble will be playing. The event will be on Oct. 3 in Zilker Park. It’s always a great night – we get to take over the park, hang out with friends and hear some great music. The party’s become a tradition – we’ve been going strong for seven years now – and it’s always a blast. If you haven’t been before, you’re cheating yourself. Go get a ticket for the Concert Under the Stars. I’ll see you on Oct. 3.